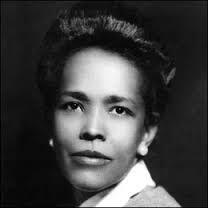 Ella Josephine Baker was born on December 13, 1903 to Georgiana and Blake Baker in Norfolk, Virginia. At a n early age Ella heard stories about slavery from her grandmother was enslaved. It stuck with her as she went on and challenge policies within Shaw University in North Caroline that seemed unfair. Some time in 1940 she began working with the NAACP as a secretary. As she moved through the ranks she set her focus on recruiting young people and she thought more women being apart of the NAACP great importance. Ella J. Baker died on December 13, 1986, and on that same day she turned 83.